You are here: Home / Testimonials / My birth was the most empowering, emotional and the best thing I have ever done! 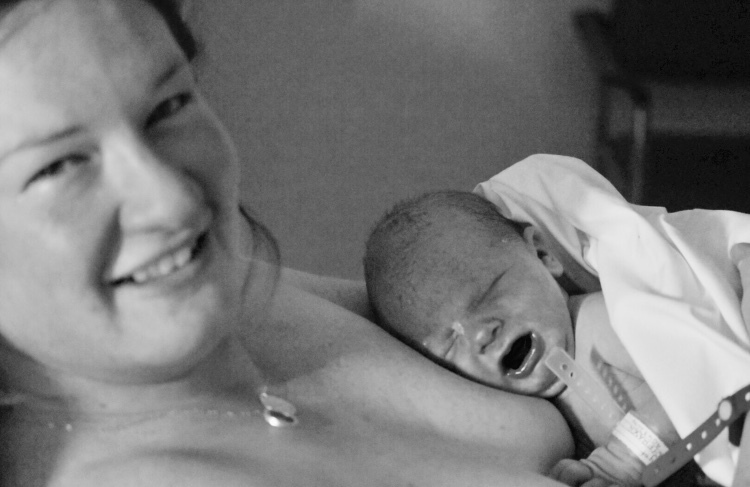 I first heard about Hypnobirthing through ‘Australian Birth Stories Podcast’ and read about great outcomes so I thought I’d look into it. This was my second pregnancy and as having a natural birth with my first, I required assistance as baby was posterior and needed to use a ventouse or suction cap and I still held some fear about the birth and wanting to be able to push my baby out myself and this was important to me, so I am so glad I did as I believe it gave me the best tools possible for having a calm, positive and empowering birth and a very quick one at that! My membranes ruptured at around 2.30am whilst lying in bed, the week prior I had spent as much time as I could walking around my property and using a birthing ball, combined with visualisations I believe this assisted baby in getting into the optimal position for birth. Each night or whenever I could I would listen to my tracks, all of them because I just love the relaxed state I was in. This also played a major part in making me head strong. By 3 am my surges were getting more intense and quite close together but not lasting very long maybe 20 seconds we didn’t time anything and just went with my instincts. We then let the hospital know we were on our way as it takes an hour to get there and knew being my second baby that it may be a quicker labour. As we arrived in the birthing suite for assessment and met the midwife I could tell that she didn’t think I was in active labour although she was so lovely. So I walked into our room while my husband was parking the car and was asked to produce a urine specimen, which I did. ( I had wishes of using water during labour either a pool or shower but never had the time as the birth was 3 hrs and 20 minutes). I then remembered I just walked over to the bed and pulled the pillow off the bed and onto the floor by the bed and knelt down. I just went with my instincts and was bearing down and I just knew that I was going to push my baby out myself. The midwife made herself familiar with my birthing preferences and then realised that we were going to have a baby very soon and I hadn’t had any internal examinations to check how dilated I was, my body just knew what to do, so I did! I pushed my baby out and put baby straight onto my chest and it was the most empowering, emotional and the best thing I will ever do, we did do delayed cord clamping which was fantastic that the midwife did make herself familiar with our wishes as it was all so quick. I could relive that moment over and over again.